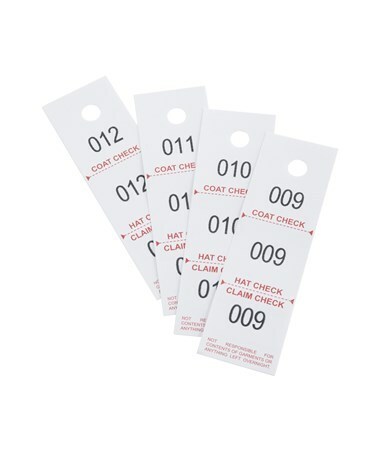 The Safco Three-Part Coat Room Check is a clear and well-labeled ticket or receipt that features a disclaimer clause and a punched hole for hangers. 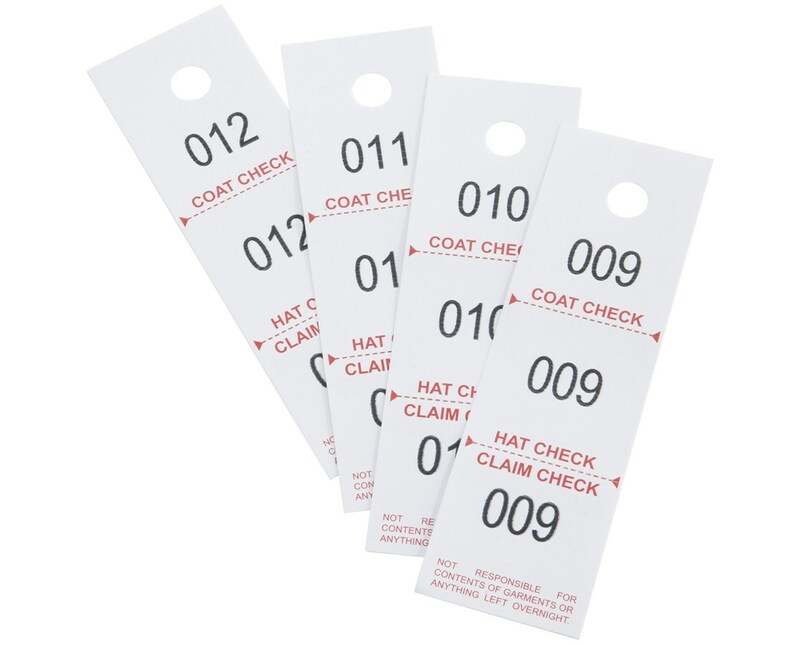 Each check has three sections labeled coat, hat, and claim check. Each pack contains 500 checks numbered 1 to 500 and each carton contains 24 packs. This check is also safe for indoor use as certified by GREENGUARD.